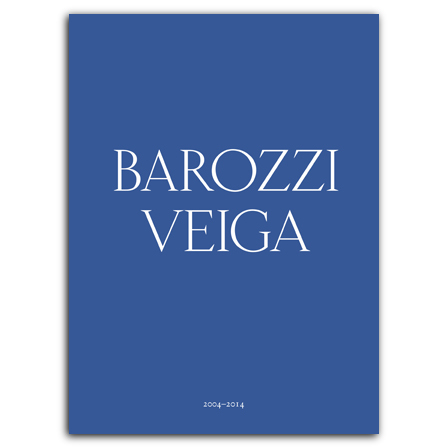 Barozzi Veiga are a Barcelona-based architectural firm that was established by Fabrizio Barozzi and Alberto Veiga in 2004. In their first decade, they have built—and won awards for—major projects in Spain, Poland, Switzerland, and other European countries. This beautifully produced volume is the first comprehensive monograph on the firm. While it features the standard elements of such a work—including images, drawings, plans, and contextual references for all the firm’s major works—it also aims to offer more, presenting a broader, more intellectual take on Barozzi Veiga’s output and the way that it reflects the firm’s desire to find and draw on the primal condition of each location where they build. , born 1976 in Rovereto (Italy), graduated in architecture from Istituto Universitario di Architettura in Venice in 2003. He is pricipal of the Barcelona-based firm Barozzi Veiga Architects. , born 1973 in Santiago de Compostela, took his degree in architecture from the University of Navarra's School of Architecture. He is pricipal of the Barcelona-based firm Barozzi Veiga Architects. lives and works as an architect in Barcelona and is also an editor with Quaderns d'arquitectura i urbanisme magazine.